Don’t have access to this feature? Upgrade today! 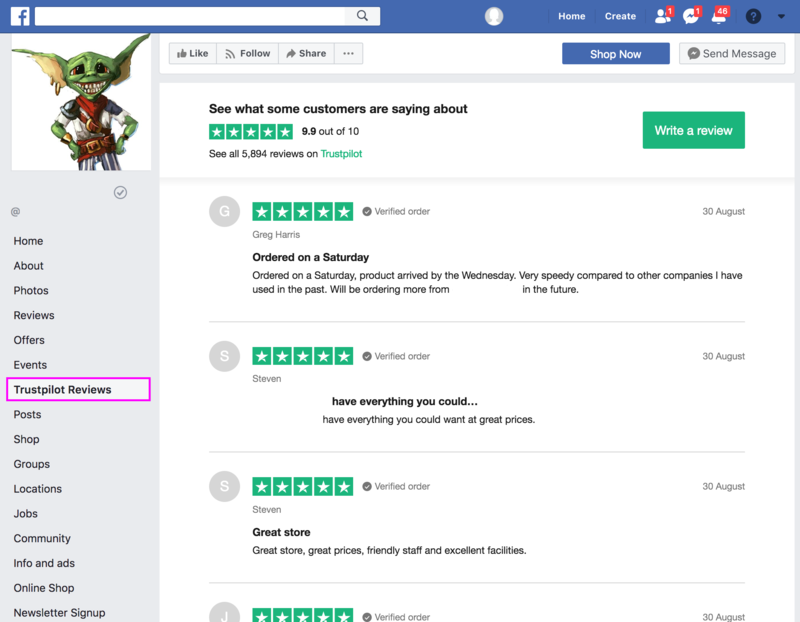 Trustpilot's Facebook Page Tab app enables you to display up to 50 of your latest reviews in a separate tab on your company’s Facebook page.The app links to your company profile page on Trustpilot so consumers can read all your reviews. How do I add the app to my Facebook page? Note: Facebook only offers page tab features to pages with 2000+ fans. Make sure that you’re logged in to Facebook as a user with administrator rights. Note: You'll get a popup asking you to confirm that we're allowed to add the app to your Facebook page. If you've got a popup blocker installed, you'll have to disable it before proceeding. Please consider that filtering reviews may mislead consumers about your company's reputation. We recommend showing consumers all reviews so they can get a complete picture. In fact, showing consumers negative reviews will confirm that you are a transparent company that values honest feedback. Learn more about how negative reviews can turn into positive customer experiences. 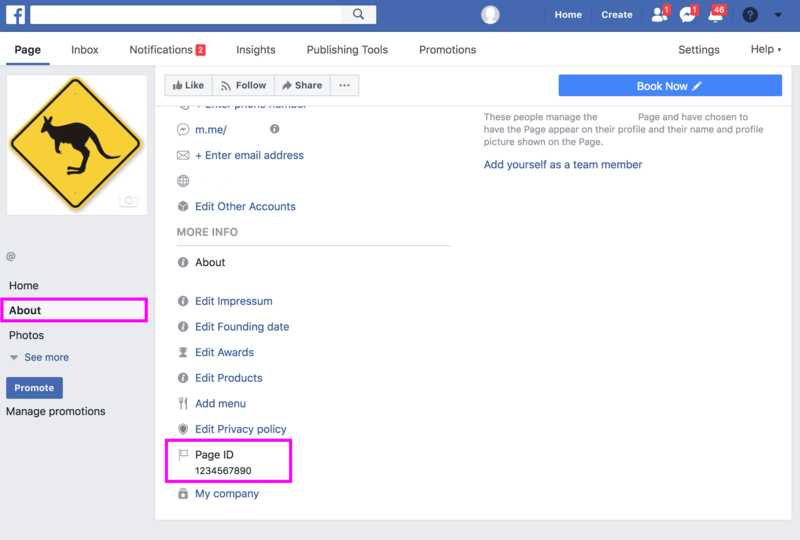 How do I find my Facebook Page ID? What will my Facebook Page Tab display? The Facebook Page Tab app enables you to display your latest Trustpilot reviews on your company’s Facebook page. After installing the app, the Trustpilot Reviews page will appear in its own tab in the left-hand menu of your Facebook page. Please note that Facebook's platform does not support page tab apps on mobile devices. Your Trustpilot Reviews page tab will therefore not appear on mobile devices.